Look, I get it. This has been a week, all told. If you’re emotionally affected by what happened, I am right there with you, and I’m telling you, it’s okay. It is perfectly all right for you to feel deeply about a video game, especially when the world we all live in can seem hard and you may use games as an outlet or a respite from events you feel helpless to deal with. When you feel helpless even in your refuge, that can be hard to adjust to. Especially when you’ve spent a lot of time in the game. I’ve been playing World of Warcraft for fourteen years now, and my first character leveled in Teldrassil. He actually ran at level 1 to the Wetlands and took a boat over so he could level there. Of course, not all players have that kind of deep connection with Teldrassil. But even if you’re a Forsaken Shadow Priest, the pre-expansion has pain for you, too. 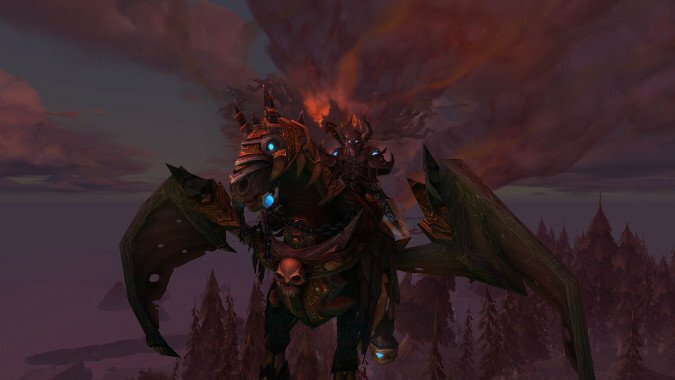 Next week, Undercity goes the way of Darnassus and Horde triumph turns to defeat. So players of all factions can relate to that feeling of deep emotion over whats happening in WoW right now. Things are changing, the world as we’ve played in it isn’t going to be the same anymore. It’s similar to when Cataclysm hit, except that we can use the Bronze Dragonflight to flip back to the old zone, so there’s some small comfort. But right now, I want to know how y’all are doing. Did you not understand what all the fuss was about? Were you stricken? Exultant at victory or enraged at defeat? Did you take part, or did you decide these quests aren’t for you? Do you play for the story or is this all just a means to get some 210 gear before Battle for Azeroth drops and we all start leveling again? Tell me how you’re dealing with the pre-expansion event.